RESEARCH TRIANGLE PARK, NC – August 2, 2011: Lenovo (HKSE: 992) (ADR: LNVGY) today announced a new series of Lenovo monitors - the LS Series - to give small-to-medium (SMB) businesses a line of monitors crafted to their unique needs with large screens, bright and brilliant image presentation and touch-enabled navigational control. The 21.5-inch LS2221 wide and 23.6-inch LS2421p wide full HD monitors are perfect deskside companions for Lenovo’s series of ThinkCentre Edge desktops. Also today, Lenovo introduced the new ThinkCentre Edge 71 desktop, designed for mainstream SMB users with image-raising style, advanced performance and simple-to-use features without breaking the bank. “The new ThinkCentre Edge 71 and Lenovo LS Series monitors are designed from the ground up for small-to-medium businesses, giving them the style, features and functionality they need,” said Tom Shell, vice president and general manager, Worldwide ThinkCentre Business Unit, Lenovo. When it comes to a visually rich multimedia LED display, the Lenovo LS monitors offer a visible difference with their 10 million to one dynamic contrast ratio. For such large screen real estate, the monitors are extremely energy efficient, exceeding the requirements for Energy Star 5.1 and meeting TCO 5.2. The LS2221 wide comes with VGA and DVI connections for displaying digital video, while the LS2421p wide offers greater functionality with VGA and HDMI outputs, a four-USB port hub and up to 300 brightness level. 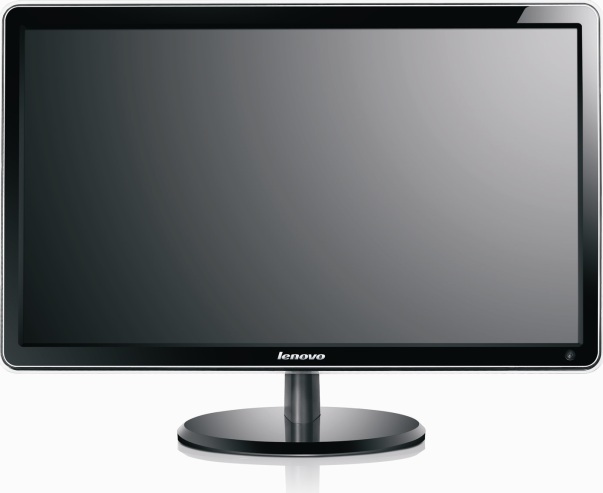 Additionally, the monitors are equipped with capacitive touch buttons for a clean and minimalist appearance, tilt stand, modern, slim bezel design and the same three year warranty available on the premium ThinkVision monitors . The glossy, polished front of the ThinkCentre Edge 71 in tower and small form factors gives business desktop computing a stylish flare. Additionally, there are no legacy ports, giving the desktop a cleaner appearance. For the total Edge computing experience, users can pair the desktop and monitor with an optional wireless Lenovo Ultra Slim Plus Wireless Keyboard and Mouse that reflects the clean and modern island-style keyboard used on ThinkPad Edge laptops . Without a doubt, the ThinkCentre Edge 71 desktop can double as an SMB’s power-pounding, number-crunching productivity machine during the day and as a perfect entertainment device for watching movies/TV, listening to music and relaxing online off the clock. Equipped with up to Intel® Core™ i7 Quad Core processors (65 watts), users have tons of performance at their fingertips, and the desktop boots extremely fast, thanks to Lenovo’s Enhanced Experience 2.0 for Windows 7 . The new desktop solves everyday computing hassles to make the experience more enjoyable and productive. Upgrading storage and memory requires no tools and only a few minutes. A hidden, rubber grip handle makes moving the desktop2 no big deal. With no expansion graphic card required, the ThinkCentre Edge 71 desktop offers an unbeatable value for users who need to work with two displays via VGA and DVI. The desktop comes equipped with Lenovo’s suite of ThinkVantage Technologies, including Rescue and Recovery, Power Manager and System Update to restore, manage and update the PCs easily. For times when SMBs need IT support, they can turn to Lenovo’s ThinkPlus Priority Support program that offers a variety of services from damage and accident protection to technical assistance to online data backup. Pricing for the Lenovo LS2221 wide and LS2421p wide monitors is $229.99 and $299.99, respectively. They will be available starting in August through business partners and www.lenovo.com. Pricing for models of the ThinkCentre Edge 71 desktop starts at approximately $369. The desktop will be available starting in October through business partners.